When echoUAT configuration is set by GRT EFIS use EFIS baro output even when control source is transponder monitor. If the page loads as below continue to step 5. 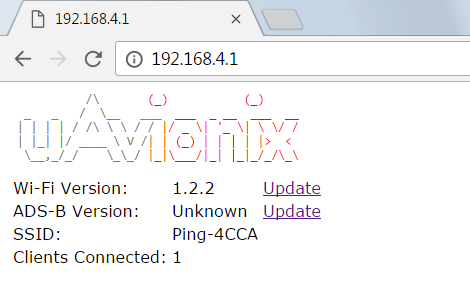 If the page does not match the page shown below please update the Wi-Fi module using the instructions here. 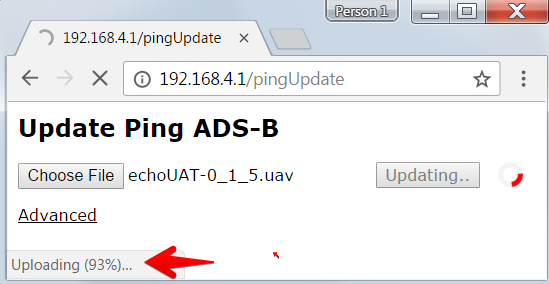 Select the UPDATE link inline with ADS-B Version. 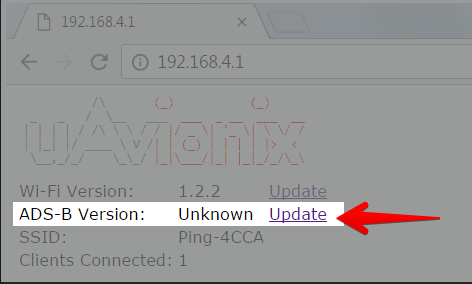 If the ADS-B version is unknown, update the Wi-Fi software first. Browse to the .UAV file you downloaded in step 1, select the file and click Open. The bottom left-hand corner should show a progress value. At the completion of a successful update, the following message will appear while Echo restarts. 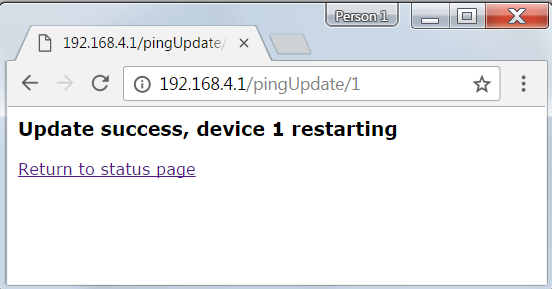 If you see a failure message disconnect the SkyFYX GPS and try again. If you disconnected your SkyFYX during the update please reconnect it and verify all configuration fields using the Echo mobile application.